In a previous devotion, we saw how Abraham laughed when God told him that he and his elderly wife, Sarah, would have a son. Today, we focus on Sarah’s part in this story. Genesis 18 begins with the Lord appearing to Abraham, apparently in bodily form, with two companions (probably angels; see 19:1). Abraham sought to welcome his visitors with his version of generous hospitality. He asked Sarah, who was in the tent, to make a quick meal for the visitors. After asking where Sarah was, the spokesperson for the three, presumably the Lord, said to Abraham that he would return and Sarah would have a son (18:9). She overheard this prediction from her place in the tent (18:10). Yet, because of her advanced age, Sarah “laughed to herself, saying, ‘After I have grown old, and my husband is old, shall I have pleasure?” (18:12). At this point the Lord asked Abraham, “Why did Sarah laugh?” adding, “Is anything too wonderful for the LORD?” (18:14). If you look up that last sentence in different English translations, you’ll find that most of them prefer “hard” to “wonderful.” The NIV and the ESV, for example, both read, “Is anything too hard for the LORD?” The ESV adds a footnote that suggests “wonderful” as an alternate rendering. The ambiguity rests in the original Hebrew verb, which can mean either “to be difficult” or “to be wonderful.” Yet, the sense of the Lord’s rhetorical question is clear. It begs the answer “No!” Is anything too hard for God to do? No! Is anything too wonderful for God to pull off? No! Thus, the apparent difficulty of what the Lord promises to Sarah, something impossibly hard for any human being and immeasurably wonderful for Abraham and Sarah, should not stand in the way of Sarah’s belief. Yet, she, like her husband (see “lol and rofl in Genesis 17” and Gen 17:17), just couldn’t believe the good news she heard, and so she laughed. 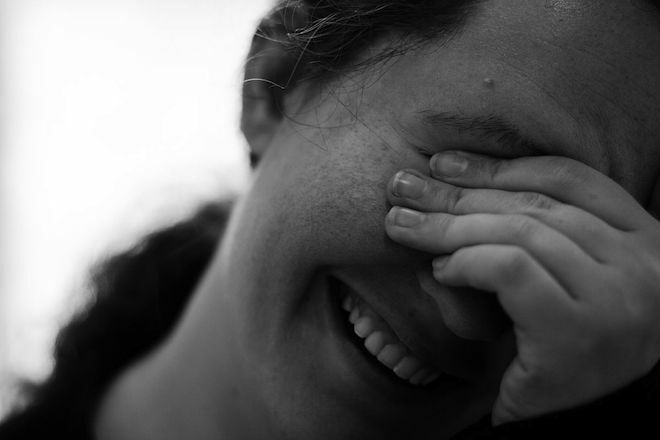 When Sarah realized that the Lord had heard her doubtful laughter, she denied that she had laughed (18:15). But the Lord knew the truth. “Oh yes, you did laugh,” he said. Yet Sarah’s laughter did not change God’s intentions. He did not belittle Sarah or revoke his promise to her. As in the case of Abraham, Sarah’s inability to trust God completely did not keep her from being used in God’s plans. No matter which way you translate the question in verse 14, it’s a question well worth pondering, especially when you are facing apparently insurmountable obstacles. Is anything too hard for God? No. Is anything too wonderful for God? No. Does this mean God will do anything you want him to do? No, of course not. But it does mean that when God is at work, and when you are at work with him, the possibilities are limitless and the wonders are plentiful. Can you relate to Sarah’s laughter? Are you struggling right now to believe God for something? How might you lead today if you truly believed that nothing is too hard or wonderful for God? Gracious God, thank you for your blessing of Sarah. Thank you for treating her mercifully when she just couldn’t believe what you were about to do in her life. Help me, I pray, to trust you and to grow in my faith. When I laugh in unbelief, or, as is more likely, when I wake up in the night and can’t go back to sleep, I ask you to encourage me, so that I might trust you more. All praise be to you, O God, because nothing is too hard for you! All praise be to you, O God, because nothing is too wonderful for you! Photo Credit: Embarrassed woman by Michael – Flickr: IMG_4240.jpg. Licensed under CC BY 2.0 via Commons. ← Would You Ever Talk to God This Way? !